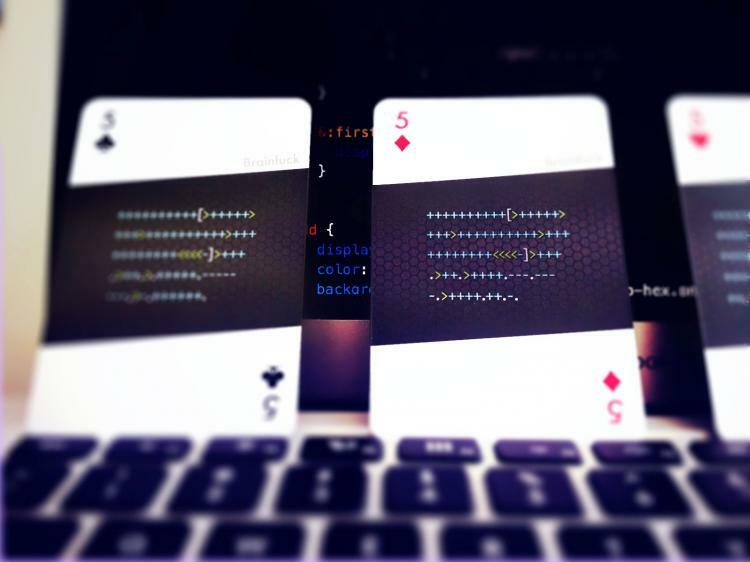 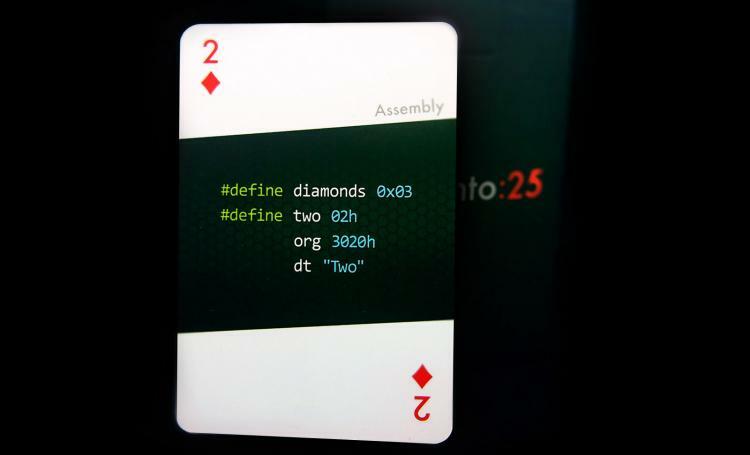 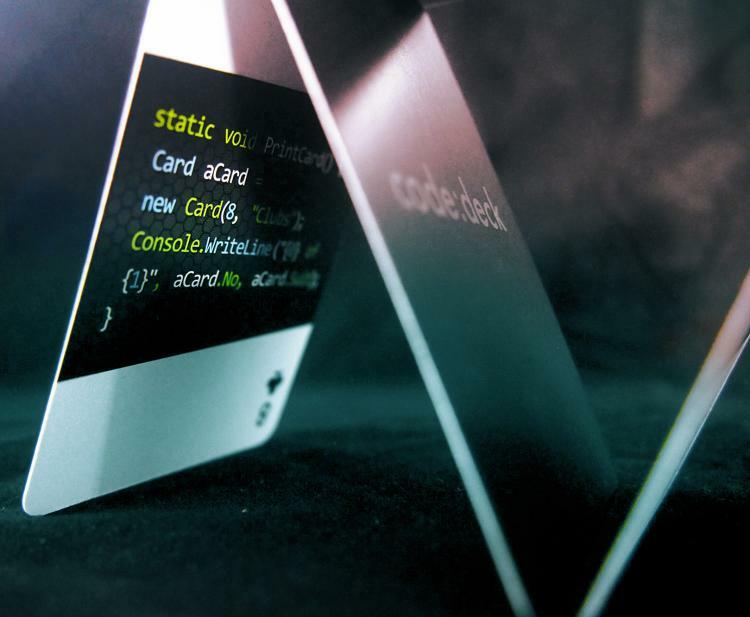 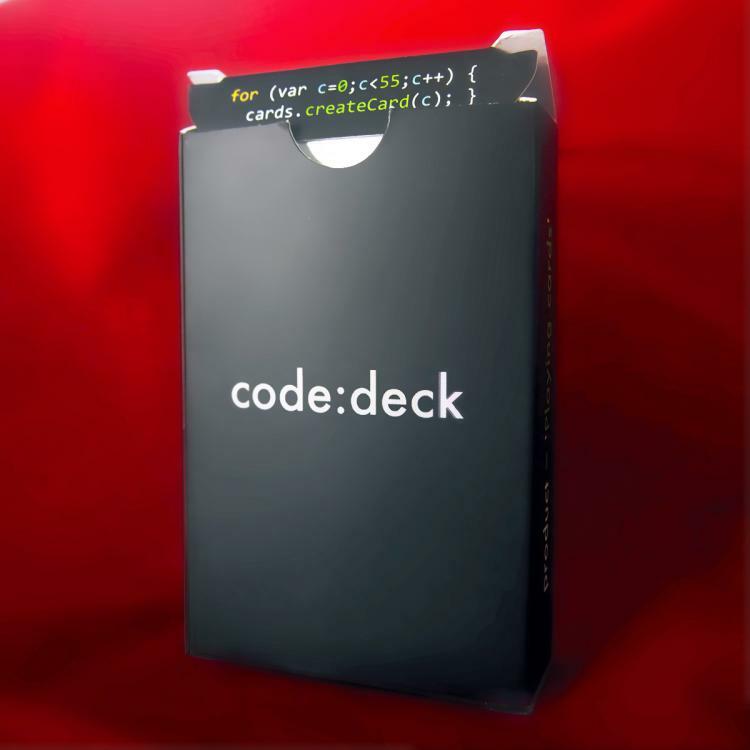 Code:Deck is a programming themed set of playing cards that has a little programming snippet on each card. 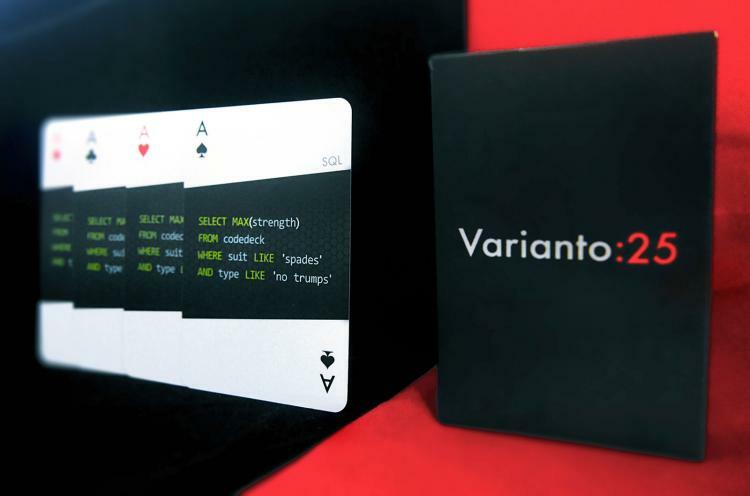 Each individual card in the deck has a unique set of code on it that represents that card in varying different programming languages. 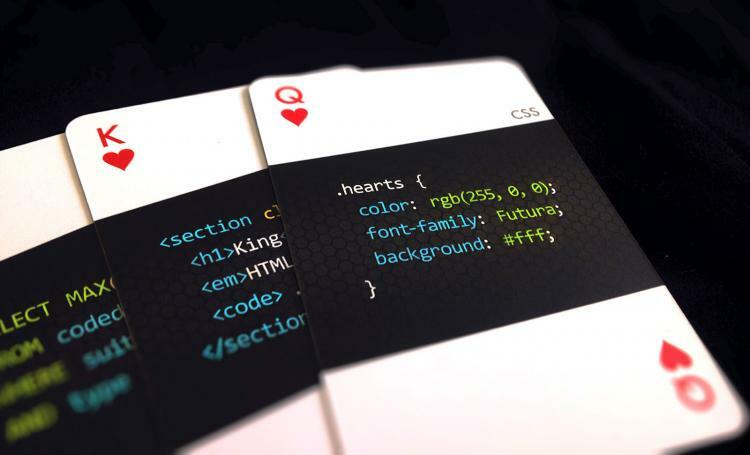 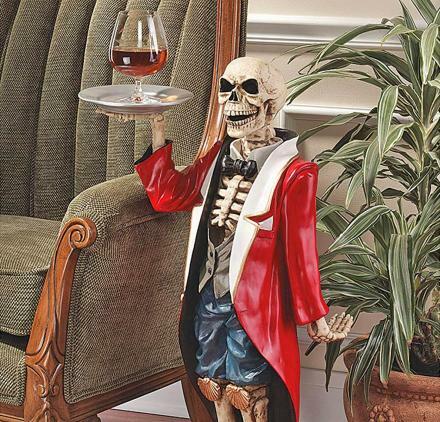 For example, the Queen of Hearts has CSS code that styles an element with a class of "hearts", and gives it properties such as a font color of red, and a background color of white, exactly describing the card in language it uses. 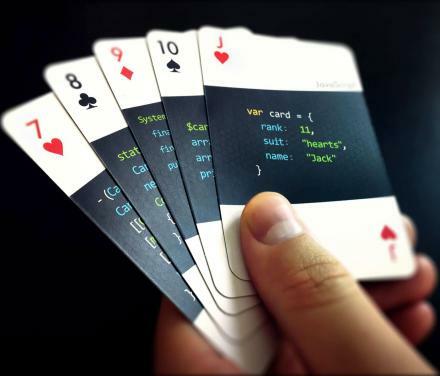 The coding deck of cards includes programming languages such as Assembly, Bash , C++, Python, Java, PHP, CSS, SQL, plus more. 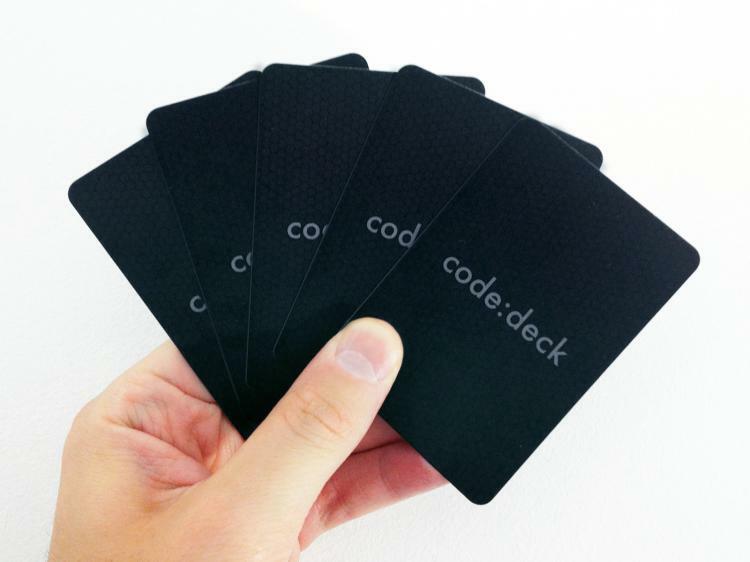 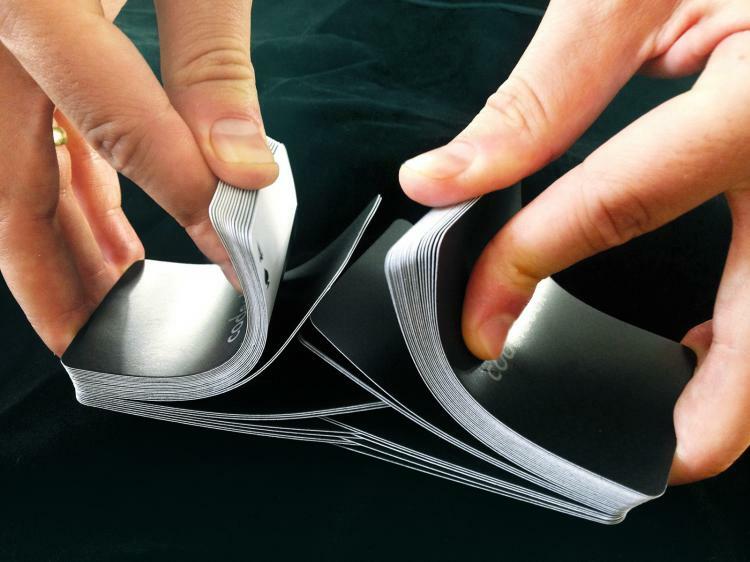 The cards are made from chrome matte paper with double sided UV polish, and are a perfect gift idea for developers, programmers, web designers, or just sweaty nerds in general.